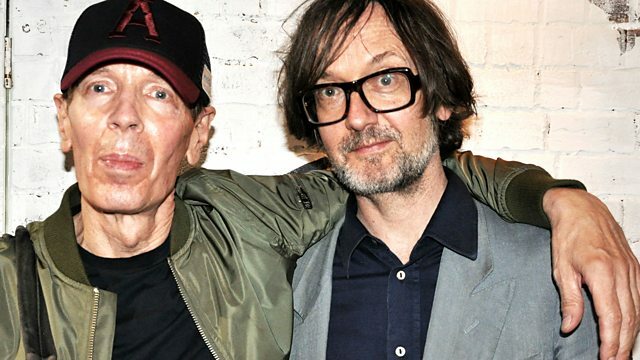 Jarvis welcomes Scott Walker back to the Sunday Service ahead of the late-night BBC Prom, The Songs of Scott Walker, which takes place at the Royal Albert Hall on Tuesday 25 July. Jarvis welcomes elusive singer-songwriter Scott Walker back to the Sunday Service, ahead of the late-night BBC Prom The Songs Of Scott Walker, which takes place at the Royal Albert Hall on Tuesday 25 July. As well as chatting about Scott's immense body of work, Jarvis gets tips on how to approach his role within this Prom and corrections to some of the lyrical mistakes he's found online whilst researching. There are also anecdotes about Scott's time prior to the success of The Walker Brothers when he was a bass platter in a Californian surf band called The Routers and an insight into his friendship with the late David Bowie who was a big champion of Scott's solo work having covered Nite Flights on his own Black Tie, White Noise album. Scott Walker on his songwriting techniques over the years: "I wrote them all on guitar in those days"
Scott Walker on living in mid-60s Britain: "I was happy running around in the fog in those days"
What does Scott Walker think about having a BBC Prom celebrating his music? Boy Child/The Best Of Scott Walker 1967-70. Best Of Scott Walker & The Walker Bro. No Regrets: The Best Of Scott Walker And The Walker Brothers. 'Til The Band Comes In.